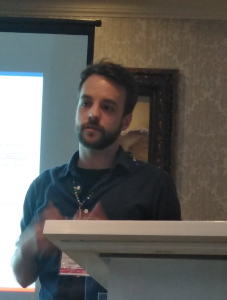 GovInn’s researcher Koen Dekeyser presented ‘Household survey on food systems change in Kenya and Mozambique’ at the International Data Week conference in Gaborone, 05-08 November 2018 (https://www.scidatacon.org/IDW2018/). This presentation was part of the panel on open Land Data Platforms: applications, progress and challenges. The conference was aimed at data management systems from all disciplines and its relevance to Africa’s development. In recent decades, the information revolution expanded the understanding of our world and beyond. This dynamic is accelerating with advancements in data collection, storage, and data analytics such as machine learning and artificial intelligence. To make this more inclusive, open data was in-depth discussed. Koen Dekeyser presenting at the conference. http://governanceinnovation.org/wordpress/wp-content/uploads/2018/11/Screen-Shot-2018-11-14-at-19.21.42-copy.png 68 192 GovInn http://governanceinnovation.org/govinnedev/wp-content/uploads/2019/02/Govinne-logo.png GovInn2018-11-14 17:29:542018-11-14 17:29:54Koen Dekeyser at the International Data Week Conference in Gaborone. 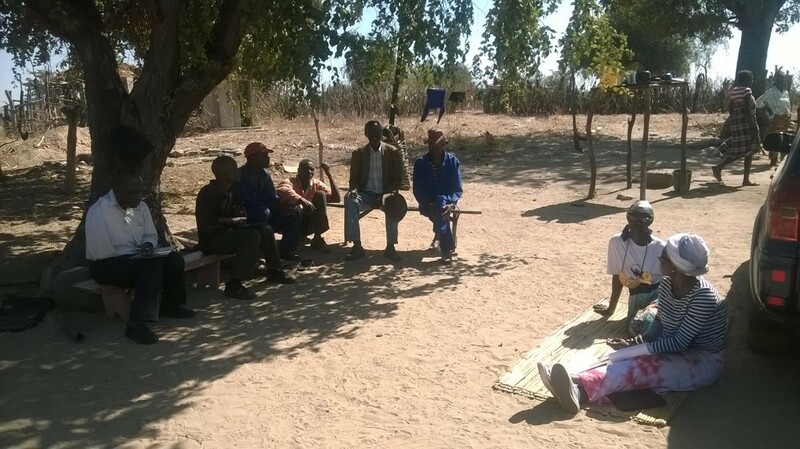 GovInn’s Co-Director Chris Nshimbi published the article ‘The Human Side of Regions: Informal Cross-border Traders in the Zambia–Malawi–Mozambique Growth Triangle and Prospects for Integrating Southern Africa‘ in the Journal of Borderlands Studies. This paper examines the activities of informal cross-border traders (ICBTs) in the contiguous borderlands of Zambia, Malawi and Mozambique, in order to determine the replicability and feasibility of the growth triangle phenomenon, which was imported as a concept for economic development from Southeast Asia. It also seeks to establish whether ICBTs can satisfy their economic needs from cross-border trade. Apart from the thorough review of relevant literature, participant observations, face-to-face interviews and focus group discussions were deployed to collect the data for the analysis contained in the paper. Primary data from the fieldwork conducted at various locations in the borderlands is qualitatively and statistically analyzed. ICBTs in these areas include affiliates of traders’ associations and non-affiliates. The contiguous borderlands of the three countries comprise a young population of ICBTs with low incomes who have spent relatively few years in cross-border trade. ICBTs who have been longer in the informal trade business have graduated into formal traders. ICBT activities highlight their contribution to regional integration, from the bottom up. Informal cross-border trade provides employment and livelihoods, placing ICBTs outside extremely poor populations living below USD$1.25 per day. ICBTs also have innovative informal ways of accessing credit based on personal interactions and shared experiences with suppliers of goods. Legally establishing the growth triangle creates an environment that ICBTs exploit in order to satisfy their economic needs, especially with government facilitation. GovInn’s Senior Researcher Magalie Bourblanc published together with Raphaelle Ducrot the article ‘Promoting equity in water access: the limits of fairness of a rural water programme in semi-arid Mozambique‘ in the journal Natural Resources Forum. Bridging the water infrastructure gap has become a major policy concern. In rural areas of Africa, access to water is as much constrained by territorial coverage as it is by the poor conditions of water points due to the difficulty in mobilizing communities for repairs. This paper examines the equity considerations of a rural water and sanitation programme in a district of Mozambique, and their impacts on the achievement of the programme’s objectives. Our analysis underlines the contradictions in the conceptualization of equity in the design, planning and implementation of the programme. Even an explicitly pro-poor strategy can fall short of delivering equity. Our findings stress the fact that overlooking local perception of equity can have a direct impact on the ability of a community to ensure the maintenance of their water points. They call for a careful definition of equity in the design of water programmes, as well as closer attention to this criterion as a precondition to achieving the long-term objective of the programme. GovInn’s Senior Researcher Sara Mercandalli published, together with Ward Anseeuw, the article ‘Migration and resilience of rural households’ livelihoods in the face of changing political and economic contexts: The case of South Mozambique (1900–2010)‘ in the Journal African Studies. This article investigates how labour migrations of rural households from Leonzoane in Southern Mozambique have changed since the colonial period to a post-war (1992) and post-apartheid (1994) context and their links with livelihoods restructuring. It draws on a qualitative analysis of the features of labour migrations, through a sample of households on five generations. Results reveal the evolution of men’s forms of mobility from longstanding circular and formal migrations to South Africa’s mines, toward multi-sited, informal, and more flexible migrations into mining and other sectors. These renewed forms of mobility are a core element of households’ livelihoods restructuring, as part of strategies to adapt the changing political-economic constraints of the broader globalising environment in terms of increasing informal and volatile labour conditions. The article concludes with a call for further analysis and integration of migration features in development policies. Project Summary: This comparative research project examines justice outside of the formal state systems, on the borders between countries and during transitions in Africa. In the past few decades, increasing amounts of attention and resources have been given to national reconciliation and transitional justice, as is evident in the increased inclusion of these in mediation processes and peace agreements. There are long and difficult debates between local governments and the international community concerning what mechanisms should be adopted, as was evident in, for example, Sierra Leone, Liberia, and Rwanda and more recently, the Democratic Republic of Conogo, Burundi and Zimbabwe. Yet, a lot of uncertainty remains about these processes and mechanisms, how they work and their actual contribution to peacebuilding. The fact that many conflicts occur across borders whereas reconciliation and transitional justice is imagined only within the nation-state.